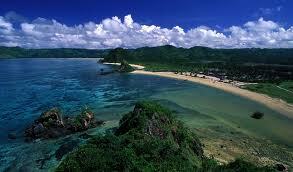 The beachfront location is not far from Kuta Beach Lombok is only 3 km towards the side. Beautiful natural environment and visitors can spend time at the beach for swimming, fishing and sunbathing on the white sand beach. For accommodations be accessible from Kuta Beach Lombok.